When Dan Wieden created the Titanium Lions in 2003, it was described simply as "the way forward." I got the chance to judge the Titanium & Integrated Lions at Cannes this year. Here's what I took away from the week. Our jury set out with the fairly ambitious hope that we would find a few gems of work that were hard to define in any other categories at Cannes. 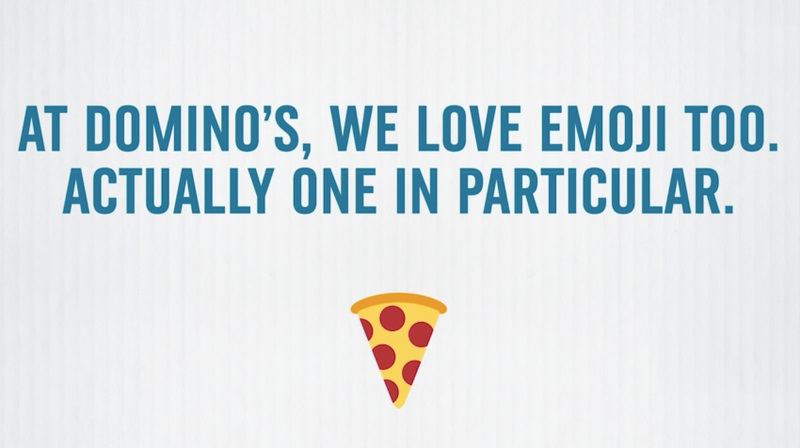 Our Titanium Grand Prix was ultimately a piece the jury felt was the most of the moment in the world of communication from a brand right now—"Emoji Ordering" from Domino's. A brutally simple idea recently launched in the U.S. that makes ordering pizza both faster and social. It's a business idea and shows how creativity is more relevant in growing a brand than ever. The definition of Titanium as a category keeps evolving each year, but what I take from this year's winners is that creating work that you can't define in a category because it's just that new is a pretty good ambition to start with. Seriously. Why will anyone give a damn? As creative problem solvers, I think this is the most important question we can ask ourselves of any idea. People need to care about it. This year the work we awarded across both Titanium and Integrated all had a genuine human purpose built into it—whether it created an actual "thing" like a utility, a cultural moment or a product like Red Sox "Green Monster." The best work transcended advertising and gave people something of more value. Benjamin Moore "Red Sox: Green Monster"
3. Brands becoming better citizens. There were a few great examples this year of brands that are doing good in the world, but good beyond just "public service" or "corporate social responsibility." Brands are doing good as a core component of their marketing, or what we at 72andSunny call brand citizenship. An example of a Titanium Lion we awarded was the "Clever Buoy" for Australian telecommunications brand Optus. It's an environmentally friendly way to detect sharks at beaches via satellite. As an Australian who has seen a couple of sharks, I'm all for innovations like this because it's giving me something way more than an ad campaign, but from a marketing point of view it's also at the core of the brand. 4. Integrated and cultural impact. A lot of integrated cases entered were a bit like a checklist of different channels executed, which isn't what should define integrated media. I think the best integrated campaigns the jury saw this year used a mix of channels to create cultural impact at scale. The Integrated Grand Prix, "Re2pect" by Jordan Brand, and Newcastle Brown Ale's "Band of Brands" Super Bowl campaign were the standout examples. Each piece of media amplified the idea in a relevant way to create a big cultural moment. Heinken/Newcastle Brown Ale "Newcastle Band Of Brands"
Among some very smart Titanium and Integrated winning work, we loved that there was one idea that was just pure ridiculous fun (and smart). The Cerveza Salta "Beer Tooth Implant" was one of the most surprising ideas of all the work, and its pure audacity was what made it a Titanium Lion winner. Our jury was very sensitive to any work that may have been created for the purpose of winning an award, so looking into this piece we discovered it is a legitimate act the brand has created. And while it's an execution that lives inside the mouths of a handful of rugby players, the ultimate relevance is that it definitely got tongues wagging among the target audience and media. This is a brand that knows what men who've lost a tooth could really use. Hopefully the tooth itself is made of titanium. Check out the winners from the category below. Moms Demand Action for Gun Sense in America "Groceries Not Guns"
Allstate Insurance Company "Social Savvy Burglar"
Foot Locker "Horse With Harden"
The Ad Council "Love Has No Labels"